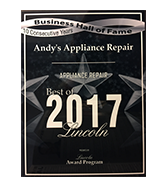 Andy’s Appliance Repair is Omaha’s number one choice for reasons like those described by Rhonda in the testimonial above. We handle any and all kind of domestic appliance repair needs, from stovetops, ovens, built-in coffee makers, ice machines, refrigerators, to washers, dryers, dishwashers, microwaves, and more. With the region’s largest appliance parts warehouse, we have access to more parts than anyone else. We inventory the most used parts for both new and old appliances. And if we don’t have the appliance repair part that you are looking for, we can order it and typically have it ready for install within a two-day-turnaround. Quicker turnaround times mean you can get your appliance and life back together, faster. That can make all the difference when your refrigerator busts, and you are stuck with having to get takeout for days at a time. We understand how important this factor is, and we make a point to be as timely as we can be. By the way, our Omaha appliance repair clinic is located at 6536 S 118th St., Omaha, NE 68137. We’ve been in business since 1971, and with our 45 years of experience comes an understanding of how to treat the customer the right way. 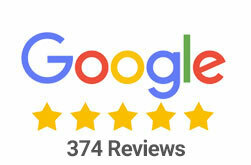 We believe our reviews speak to that effort, as does the recognition we’ve received in the Omaha and Lincoln communities. 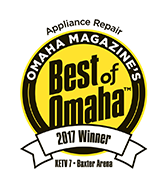 We’ve received Omaha Magazine’s “Best of Omaha” award for the 2017 year in appliance repair. 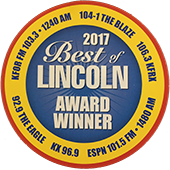 And while we are very honored to receive such recognition and positive reviews, at the end of the day we need to continue to work hard to gain people’s trust each and every day we work in the Omaha community. Respect and trust is built up over time, but can be lost in a moment. At Andy’s Appliance Repair, we get that, and do our best to provide you with exceptional, affordable appliance repair in communities like Omaha, La Vista, Bellevue, Papillion, Gretna, Elkhorn, and beyond. Keep reading below to learn more information about specific appliances and name brands thereof. We are factory-trained and certified to handle all of your refrigerator repair service needs in Omaha and beyond. That means that we are able to service the full product lines of most any major appliance brand you might have, whether it’s old or new. We are typically able to make it out to your place either the same day or the following day, but let us know if you are in need of emergency refrigerator repair, and we will do our best to accommodate you. Some, but not all, of the brands we service include the following. Keep in mind that we have a wealth of refrigerator parts, so if you have Whirlpool refrigerator problems, for example, we will be able to provide you with the appropriate replacement fridge part to get your unit back up and running! In need of Omaha washer and dryer repair? No problem, you local appliance repair company here at Andy’s has you covered. Our standard appliance service call is $89. That service call is comprised of a trip to your home, the diagnosis of the problem and the estimate to fix the washer problem. A huge value add-on we offer is that our work is guaranteed for a full year, parts and labor. Another perk we are happy to offer is that the diagnosis of a second appliance is half off of a service call. If you are in need of affordable washer repair in Omaha, take a look at some of the brands that we service (hint, we can service almost any warranty or non-warranty washing machine that needs repair). We also have close to any and all of the washer parts you could be in need of. With our Omaha appliance service center conveniently located, we are able to get the washer and dryer parts we need while still providing you with the exceptional, timely washer service you expect from Andy’s. The twin sister of the washer is obviously the dryer, and we are able to handle close to any warranty or non-warranty dryer repair issue you might have in or around Omaha. We will be able to tell if your issue requires a new dryer part or if a simple repair is in order. In the same way, we’ll be able to advise you if a full-on replacement is required or if our factory-certified technicians will be able to extend the life of your dryer by providing expert electric or gas dryer repair. A few of the major appliance brands we service are listed below. As you are likely able to guess, we have a wide inventory of washer and dryer parts, from name brands like Samsung and Kenmore and many others. Don’t hesitate to call us for any dryer service repair needs in Omaha or beyond! When your oven goes down it’s no fun. It’s especially un-fun in the winter time, when it’s a much better idea to be heating your kitchen and house up by making yummy casseroles, pies, and the like. When we come into your home for a scheduled oven repair service appointment, we want you to understand that we have a “guest mentality” approach when we set foot in your home. We have Certified Master Technicians who understand that having a stranger come into your home in a time of stress can, well, add to the stress levels. When it is an oven repair, okay, that isn’t ideal, but you can probably live without it. If it’s something like a refrigerator or freezer repair, however, that can be something else altogether. We arrive in clean, pressed uniforms in our trademarked Andy’s Appliance Repair vans. We knock on your door rather than ringing the doorbell to avoid waking any sleeping babies. Then we will take off our shoes or put on booties to make sure we don’t traipse through your house with a trail of dust or mud in our wake. Our tools are placed on padded mats to protect whichever floor service we are working with, which ensures your floor doesn’t get scratched. Finally, we’ll diagnose the appliance in question and give you a reasonable estimate for the work that needs to be done. Below you will find a few examples of the name brands we service when it comes to affordable oven repair and oven part replacement. We even do microwave oven repair, so make sure you give us a call the next time you need some experts to look at your oven, whether it is old or new! Whether you call it a range, a cooker, a cooktop, a stovetop, or just a stove, we can handle it. And yes, we understand that technically those aren’t all the same things, but forgive us for lumping them in the same category. If you are looking for cooker repairs or stove repair, perhaps by searching for something like “stove repair near me”, your search has likely ended. We have the capable staff who are ready to diagnose and solve your problem, hopefully in the same day that you call! Below you will find a few of the many brands we are able to diagnose, provide replacement parts for, and repair in an affordable fashion. 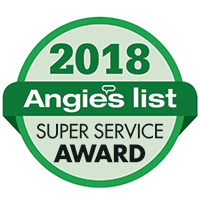 If you need to get your dishwasher fixed, we might be biased, but we are of the opinion that there is no better place to get dishwasher service than with Andy’s Appliance Repair. We stock thousands of parts for all of your major dishwasher brands so that you don’t need to wait a week to get the right part. Our Certified Master Appliance technicians and nationally recognized certified appliance center help set us apart as an appliance repair company in Omaha. No matter who comes to your door for your scheduled appliance repair appointment, you can rest easy that they are experienced, certified, punctual and masters at their craft. We have fostered a culture of excellence here at Andy’s, and that has been translated to each staff member from top to bottom at our company. Below you will find a few examples of dishwasher brands that we repair and provide replacement dishwasher parts for. We provide quality appliance service on major appliances, but we also offer that same service on small appliances as well. Among our small appliance repair service, or at least slightly less popular, is window air conditioners, KitchenAid mixers, microwave repair service, built in coffeemaker repair, wine cooler repair, and ice maker repair and diagnosis. Other brands we service include Jenn-Air, Scotsman, Speed Queen, Hotpoint, U-Line, and Roper. If you have an appliance that you haven’t seen listed above, all you need to do is pick up the phone and give us a ring! We would love to hear from you, and there’s a safe bet we will be able to help you out. Looking for Scotsman parts, Jenn Air parts, Electrolux refrigerator parts, or Frigidaire refrigerator parts? Andy’s Appliance Repair has Omaha’s biggest appliance service center along with thousands of the most commonly needed repair parts on major brands for your old and new appliances. We literally inventory thousands of SKUs to make sure that we can provide you with the appliance repair part you need in a timely fashion. If we don’t have the needed part in our parts house, however, we can order it swiftly and it will be here typically within a day or two. 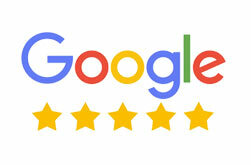 Whether you are in need of stove repair parts, dryer repair parts, oven parts, or you need a certified appliance repair technician to come out and advise you about the replacement part you need, Andy’s is a great choice. View our parts page here for more details! We want our current clients and prospective ones to understand that we are proud to be a part of the greater Nebraska community for 45 years. As community members, we like to give back as much as we can, and we are lucky enough to be able to do so in a variety of ways. For example, we help collect food for the Omaha Open Door Mission every holiday season. With the holidays right around the corner, we are looking forward to more of the same this year! Check out the variety of ways we’ve been able to be involved in the Lincoln and Omaha communities over the years! If you are in need of Omaha appliance service, schedule your online appointment today!